In a congruence never seen before, Fürstenball sets a new standard in his own career as well as in his heredity. 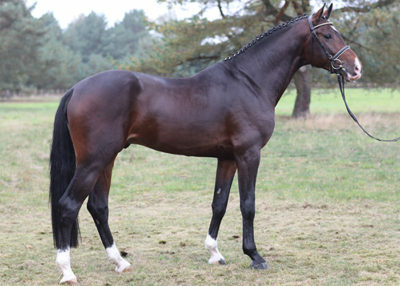 He won his licensing and stallion performance test, was regional and national champion of Germany, sire of champion stallions, winner of S level dressage classes, 2013 VTV stallion of the year, and number 1 of the FN breeding valuation throughout Germany in 2015 – it is hard to do better at such a young age! In 2014, three out of four Oldenburg regional Champions were by Fürstenball. Fürstenball’s daughter Fünf Sterne managed an absolutely sensational double success: She not only won the Oldenburg regional Ridden Horse championship but also won the Brillantring of the Oldenburg Elite mare show. A daughter of Fürstenball, Amelie, was placed second. In 2015, another two Fürstenball daughters, Fiesta Danza and Flora de Mariposa, took first and second place of the Oldenburg Brillantring in Rastede. Flora de Mariposa and Fiesta Danza were respectively Champion and Reserve Champion of the Oldenburg Championships and second and third at the German national Championships. In 2016, Flora de Mariposa successfully defended her national title. In 2015, Fior won the four-year-old stallion Oldenburg Championships and in 2017, he was German Champion of five-year-old dressage horses. The Westphalian-Week was also a “Fürstenball-festival”, where the licensed stallion Fürst Magic left the scene as the winner and four other finalists were by Fürstenball. 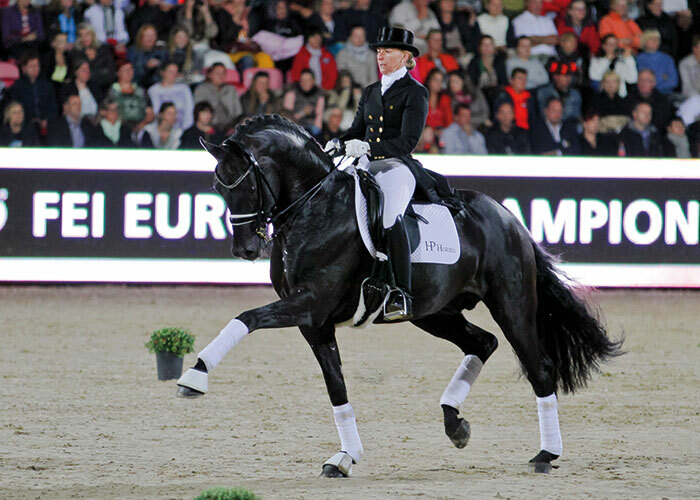 In 2016, Facilone was Hanoverian Champion, Festina PS was German national champion of three-year-old mares and geldings and Fürstenball’s Danish daughter Heiline’s Danciera was fourth at the World Championships of five-year-old dressage horses in Ermelo (NED). In 2017, at the Hanoverian Championships of five-year-old dressage horses, Fürst Oliver and Facilone achieved a double win for Fürstenball and the six-year-old champion Four Seasons was also by Fürstenball. Fiesta Danza won, once again, the Oldenburg dressage Championships (5yo.) and Faradei dominated the six-year-old class. Furstenball’s daughter Florette was the top-price at the PSI-auction selling for 700,000 euros. His first descendants are now successful at S level and have brought their sire once again to the absolute top of the FN breeding valuation with 164 points. This stallion is pure fascination. Equipped with a maximum amount of elegance, suppleness and elasticity, he is the embodiment of the modern dressage horse. Sold as a foal at auction he achieved top price, being sold for the sum of 110.000 euros. He was champion of his licensing, stallion performance test winner with a sensational 154.98 points in the dressage index (16 x 9.0 and better, as well as 10.0 for rideability) and champion of the German national championships of five-year-old dressage horses in 2011. He won the Championship with top marks: 9.5 for trot and overall impression, 10.0 for walk. 9.0 for canter and suppleness. Prior to that, he became Oldenburg regional champion with a mark of 9.1. In 2012, he put his quality again to the test with high placings at the regional and German national championships and at the World Championships of six-year-old dressage horses. In 2013, he won his first advanced level/ Prix St. Georges competitions. At a gripping ceremony, within the framework of the Oldenburg Althengstparade (older stallion parade), he was celebrated as the VTV dressage stallion of the year. At the German foal championships, he has already produced a champion and is always represented amongst the Top Ten. For years, he has sired top foals, many of them reaching six digit selling prices at German auctions. 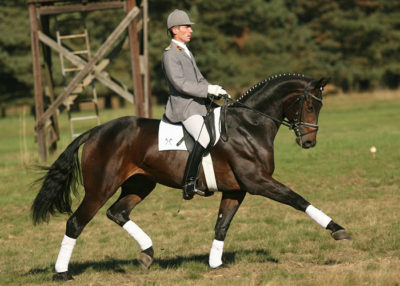 His success is predetermined: Sire Fürst Heinrich was dressage horse World Champion and in his short time at stud he sired 53 sons and 64 advanced level/S level dressage horses. The dam line of Mon Amour, which is of French origin, has what it takes: from it stem Sieger Hit, the Oldenburg champion stallion 2007, Hot Spot, the second reserve champion, Desiderio, multi-fascinating stallion, expensive top foals and many more. 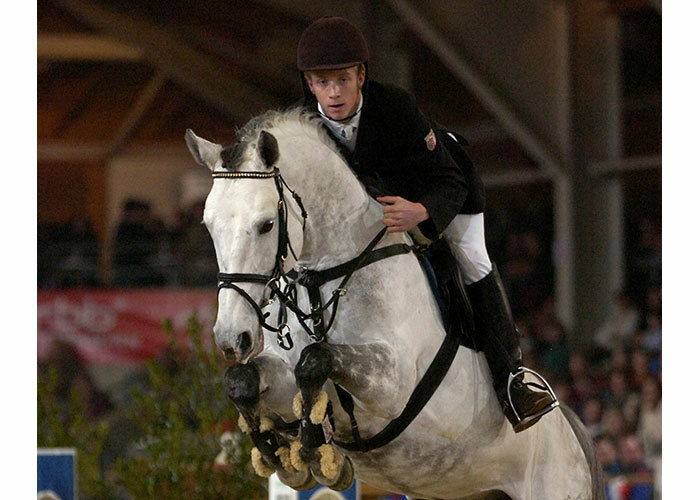 Inbred with dressage hero Donnerhall, Fürstenball´s pedigree enjoys an influx of blood further down in the pedigree with Holstein and thoroughbred genes.